Today marks the 58th birthday of Hollywood’s most beloved actor, Tom Hanks. so Here’s a Top 10 of my favourite hanks movies! Still to see (1993 onward): The Great Buck Howard, The Green Mile, Cloud Atlas, Road to Perdition, The Lady Killers, Elvis Has Left The Building. Honourable Mentions: The Terminal, You’ve Got Mail, Saving Mr. Banks, Charlie Wilson’s War. Celebrate! The Green Mile definitely one of his great ones but you know what, I like Big a lot as well, I think it shows innocence and I just love it until this day! Also, it’s great to see some Hanks love out there, he surely doesn’t get enough of it because he’s such a great person in real life as well. So is Spacey. Those two.. oh .. I wish they did a movie together! I know! It’s bad news vs. good news and that sort of thing. Ohh the two of them together would be a laugh, I’d love to see *that* movie! I just adore Tom Hanks. I don’t think I’ve ever gone through a period when I didn’t like him. He’s one of the few hollywood stars who knows the meaning of “subtlety,” both in his professional and personal life. My favorite Tom Hanks performance would have to be ‘Apollo 13.’ One of my favorite films of all time period. Couldn’t agree more. He must be one the few actors (who’s been working for so long) that you can’t point a finger at; it’s inspiring. Apollo is great, I just re-watched it yesterday, because of his birthday! I think Forrest Gump will always be my favorite of his. It’s so iconic. Great post! oh missed this comment, damn! I need to re-watch Forrest Gump asap! 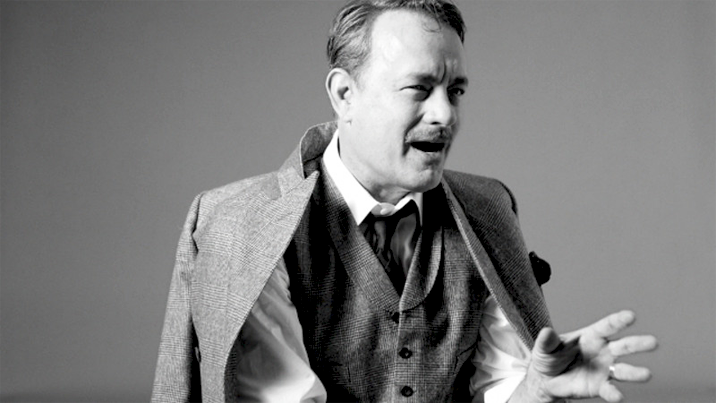 My favorite Tom Hanks movies would probably be Cloud Atlas, Road to Perdition, Catch Me If You Can, and Toy Story. His best performances would be in Saving Private Ryan, Captain Phillips, and Cast Away, though. I still need to see Cloud Atlas, but I’m surprised it would make your favourite films as it didn’t get a lot of great reviews, right? And I agree about that separation of movies/performances. His work in Captain Phillips was intense.